Rice is grown on every continent except Antarctica (sorry, penguins). It's easily the world's most popular grain. 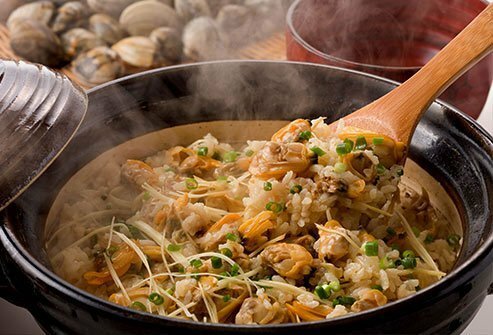 The Mandarin Chinese and Korean words for rice are the same as for food or meal. There are more than 40,000 varieties. Supermarkets have finally taken notice. 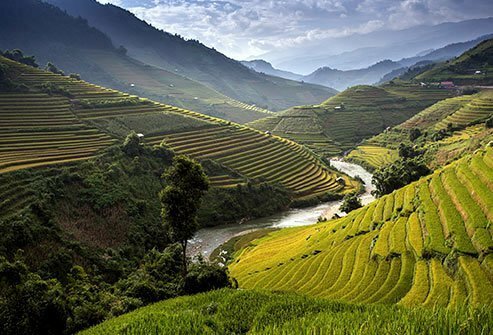 So you'll find a wide world of rice to explore. It's just like whole wheat vs. white bread. Brown rice is a whole grain. White's not. So brown's got more fiber, vitamins, and other goodies. Its nutty taste and chewy texture make for a hearty meal. Strip out the bran and germ, and you get white rice. Fewer nutrients, but it's easier to cook and won't steal the taste spotlight from other foods. 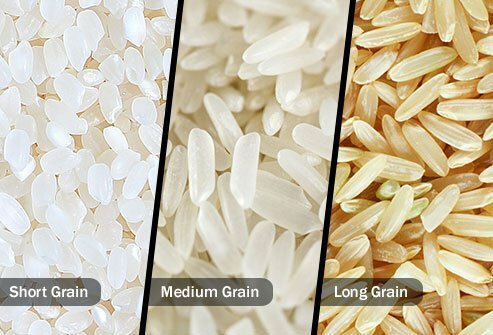 White rice also comes from other whole-grain types, like black, red, and purple rice. Stubby and almost round, short-grain rice cooks up soft and sticky. You can pick it up in clumps, making it the go-to rice in Asia where chopsticks rule. 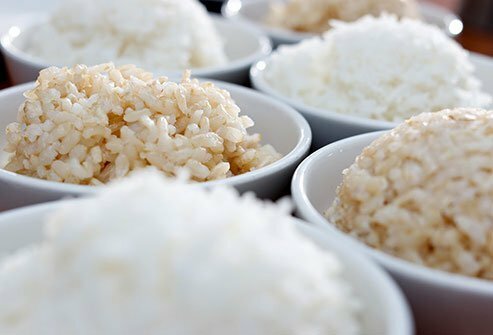 Long-grain rice is skinnier and has less starch, so it comes out light and fluffy. It's great as a side dish or when you need a rice that holds its shape well, like in gumbo. Medium-grain isn't as long as long-grain or as sticky as short, making it the perfect in-between. This starchy, white rice is the magic behind risotto. Grown in Italy's Po valley, it's the sponge of the rice world. It soaks up whatever liquid you cook it in. And in the process, it releases all those starches, making for a rich, creamy texture. 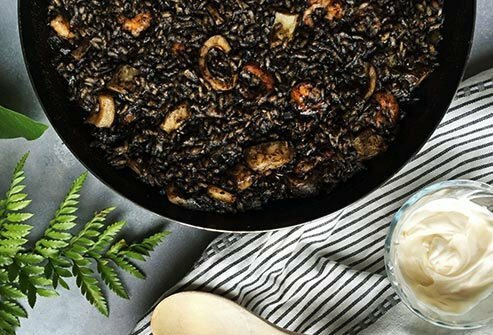 Beyond risotto, you can use arborio in a pinch to make paella, the saffron-scented Spanish dish, or to satisfy your sweet tooth in a rice pudding. 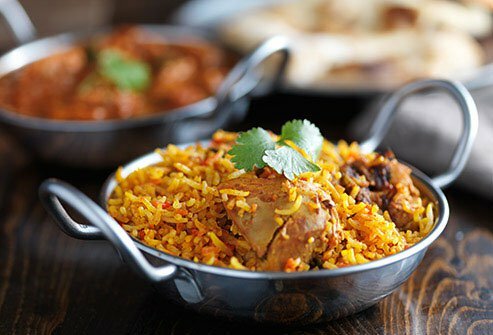 Basmati, jasmine, and others with a strong scent are known as aromatic rice. They can smell like popcorn or roasted nuts. They come by their aroma naturally, too. It's from a substance called 2-Acetyl-1-pyrroline. The taste and smell often vary from one year to the next, just like wine. Not only that, but the best ones are aged to let their scent grow even stronger. Way, way back, you could only get this rice if you were a Chinese emperor. But with a few clicks or a quick trip to the supermarket, now you, too, can dine like royalty. It's a short-grain rice that turns purple when cooked (toss a handful into white rice). The color comes from the same antioxidant called anthocyanin that makes blueberries blue. 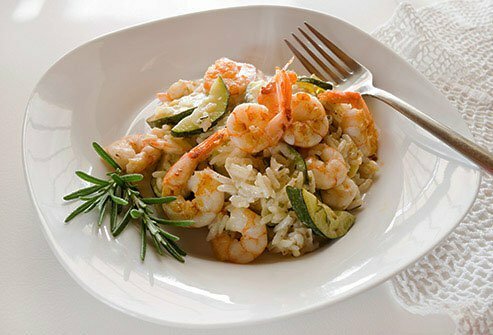 It's great for giving dishes like paella and risotto a stunning makeover. Don't be fooled by the name. Like all rice, it's gluten free. The name is a nod to its sticky, glue-like texture. It's also known as sweet or sticky rice, and it's loaded with a starch called amylopectin. The sweetness makes it popular in desserts, but you'll find it in savory dishes, too. 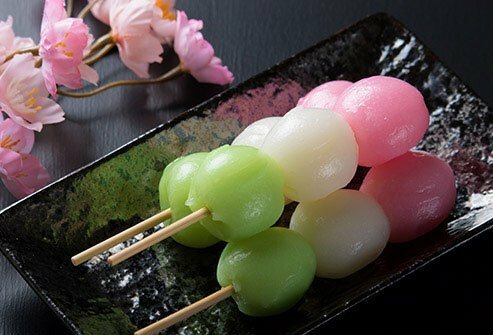 It's especially good when you want to shape the rice, like in Japanese sweet rice balls. The long-grain "prince of rice" comes from the foothills of the Himalayas. It'll fill your kitchen with a nutty aroma and your mouth with an almost buttery taste. It's standard in Indian cooking like curries. But don't limit yourself. Try it in any dish that calls for a long-grain rice. You can find white and brown versions. Brown ones have a stronger scent. 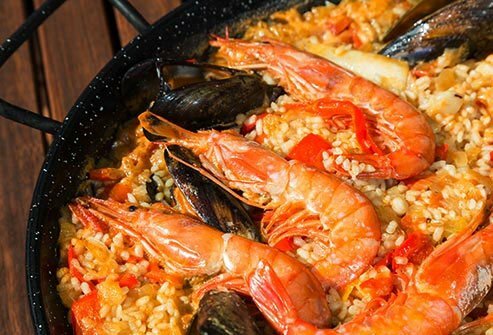 If you're crazy for this dish native to Spain's eastern coast, track down some bomba rice. You might also see it as Valencia rice. It soaks up a ton of liquid and still keeps its shape. If you can't find it, don't panic. See if you can get your hands on Sollana rice, sometimes called Calasparra rice. Like bomba, it's a Spanish short grain that holds it together even as it drinks up the liquid from your pan. Bored with browns and whites? Add a little flair with Himalayan red rice. You get a long-grain rice with plenty of curb appeal and a complex, nutty flavor. It's hearty and firm. It stands up well in salads, fried rice, and with seasoned meats. 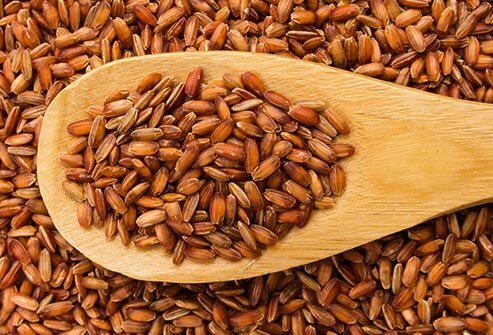 Bhutanese red rice is a short grain with a nice texture. Try it in pilafs, casseroles, or on its own as a side dish. Also called Thai fragrant rice, its slightly flowery aroma is unmatched. It also has a little more stickiness than you might expect from a long-grain rice. It's soft and holds its shape well after cooking. You could easily swap jasmine for basmati or vice versa. Both give your dishes a little more oomph than your average long-grain rice. This one falls more on the sweet side. It's usually served in desserts, but it's branching out and finding its way into savory dishes as well. Pro tip: If you plan to add other foods to the rice, hold off until the very last minute. It's a lot like beets in that it'll leave dark purple stains on everything it touches. Parboiled rice sounds like it's already cooked. Not so. After harvesting, it's steamed under pressure. But that's so it holds on to more nutrients when it gets milled. 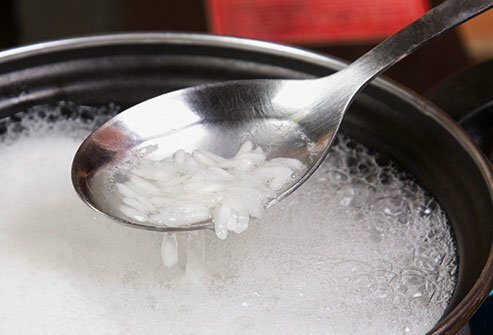 The process hardens it, so actually it takes longer to cook than white rice. Some swear by it for crockpot recipes since it won't get mushy. For quick cooking, go instant. It's pre-cooked, but some people might find the texture wanting. 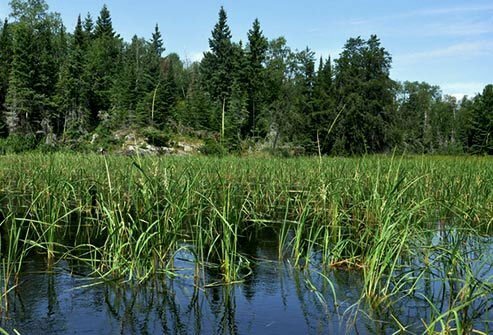 Aside from corn, wild rice is the only commonly eaten grain that's native to North America. Chewy on the outside and tender in the middle, it has a nuttier taste and more protein than whole-grain rice. It even has a bunch of antioxidants. But it's not exactly a level playing field. Despite the look, wild rice isn't rice at all. It's a grass that grows along waterways. Is Sushi Rice a Thing? It's just a short-grain, white rice. A lot of varieties will work, but not sweet rice. Too sticky. And forget medium and long grain. Too chewy and not sticky enough. Like some fancy restaurants, you could try brown rice, but you might lose friends over it. 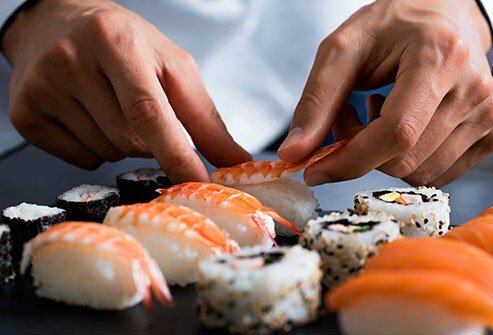 Just remind them that back in the day, sushi was a way to preserve seafood. The rice got pasty in the process, so you'd ditch it and eat just the fish. Arsenic is a natural substance, but eating a lot of it for a long time can make you more likely to get certain cancers. 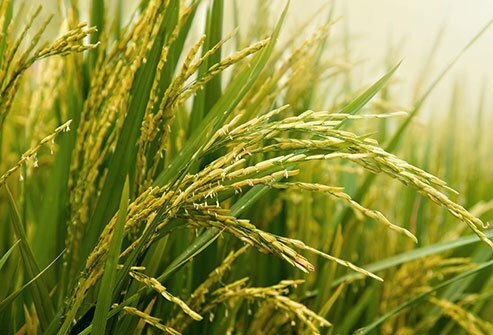 It turns up in rice partly because rice tends to soak it up more than other plants. And rinsing won't help. The trick is to cook it like pasta, where you add a bunch more water than rice and pour it out after cooking. You may lose some vitamins and minerals this way, but you can cut the arsenic level roughly in half. The Rice Association: "Facts and Figures," "Varieties." Oldways Whole Grain Council: "Types of Rice," "Wild Rice: September Grain of the Month," "New Whole Grains Enthusiast in Town." University of California, Berkeley Wellness: "Types of Rice." 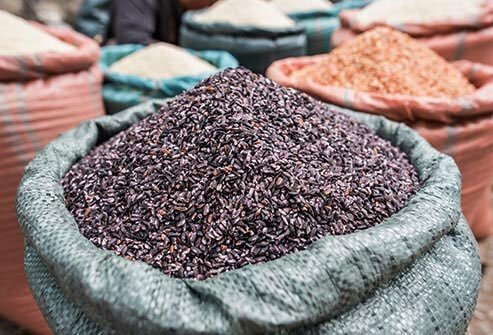 The Plant Cell: "The Birth of a Black Rice Gene and Its Local Spread by Introgression." National Health Service (UK): "Blueberries: Antioxidant Powerhouse?" Shimbo, H. The Sushi Experience, Knopf, Oct. 7, 2006. 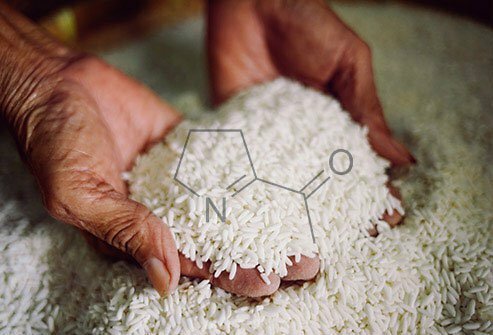 FDA: "Questions & Answers: Arsenic in Rice and Rice Products."